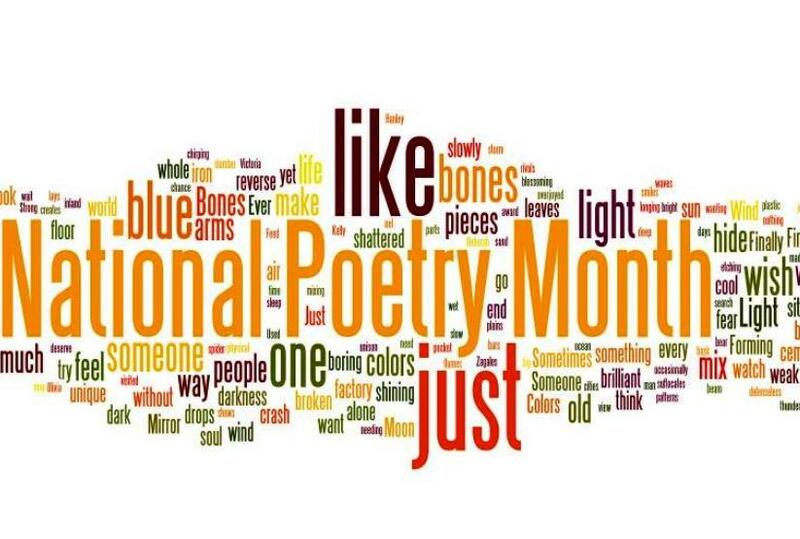 It’s National Poetry Month and I am so pumped. As a food poet, I love writing and reading food poetry. I will be writing a new poem every day this month and I invite you to join me in this adventure this month! 4/1 Write a poem about the steps of creating a cookbook (I skipped this one). 4/2 Write a poem in the format of a recipe. 4/3 Write a funny poem about someone trying to eat a bad tasting meal at a dinner party. 4/4 Write a poem about a vegetable trying to consume your soul. 4/6 Write a poem about eating in the car or on the go in anyway. 4/7 Write a funny poem about how a scam news article goes out saying that scientists had it all wrong about food. Vegetables have minimal nutritional value, and unhealthy items are suddenly rich in nutritional value and can help with losing weight. What is the reaction? 4/8 Write a poem about a meat lover who has to not eat meat for a year to win a million dollars. 4/9 Write a poem about how rejecting a meal or not finishing your meal in certain countries is received by individuals or a family. 4/11 Write a poem about: ice cream. Ice-cream: chocolate, strawberry or vanilla? Soft serve or hard ice cream? Describe your ice cream choices in vivid detail. 4/12 Write a Haiku about a meal gone wrong (whether you cooked it or someone else prepared it for you). 4/13 Write a poem about Grandma’s Kitchen. Focus on a single memory, or describe what you might imagine the typical grandmother’s kitchen to be like. 4/14 Write a poem about a piece of partially eaten food giving you crazy instructions with a sinister intent. 4/15 Write a poem about cold water. What feelings do you associate with cold water? Maybe it’s a refreshing cold glass of water on a hot day, or maybe you imagine the feelings associated with being plunged into the icy river in the winter. 4/16 Write a poem called “The Spice of Life”. Choose a spice from your kitchen cabinet, and relate its flavor to an event that has happened recently in your daily life. 4/17 Write a poem about fast food restaurants and experiences. 4/18 Write a poem about a cafeteria. Create a poem inspired by the people who might be eating lunch in a cafeteria at school or at a hospital. 4/19 Write a poem to your favorite food from a secret admirer. 4/20 Write a limerick about a food you don’t like but still eat it anyway. 4/21 Pick three words from a recipe you like and build a poem around it. 4/22 Write a poem about your history with a certain food or recipe. 4/23 Write a poem about the sound in your head when you munch on crispy chips or crunchy crackers. 4/24 Write a poem about a big bowl of chilled, fresh summer fruit in the fridge. It’s colorful, juicy, and sweet. 4/26 Write a haiku about your favorite childhood food. 4/27 Start a poem with “Roses are red, Violets are blue” and make it about food. 4/28 Write a poem about how a piece of food could take over the world. Think about why any piece of food would want to do this and what types of food might be able to pull it off? Be creative too. Think of things like foods becoming poisonous, being so hot that they burn people, or doing it the slow and gradual way by making people unhealthy. 4/29 Write a poem about a poem about food (you can go through my instagram posts for food poems). Include the original poem. 4/30 Write a poem about fasting from food. I hope you do join me this month. To get a reminder and the prompt daily make sure to follow me on Instagram where I will be sharing the prompts in my stories daily as well as on Twitter.